Women & Golf features valuable sources of information for women who play golf or those who are trying to take up golf. £17.00 every 6 issues by Direct Debit. This magazine offers modern, fun and valuable sources of information for women who are enjoying the game. This leading Bi-monthly contains interviews with golf's leading ladies, as well as female celebrity amateurs who share your passion for the course. Each issue is packed with instruction, fashion, the latest equipment, travel and lifestyle, along with women's golf news, special features, player profiles, plus exclusive competitions and offers for subscribers. 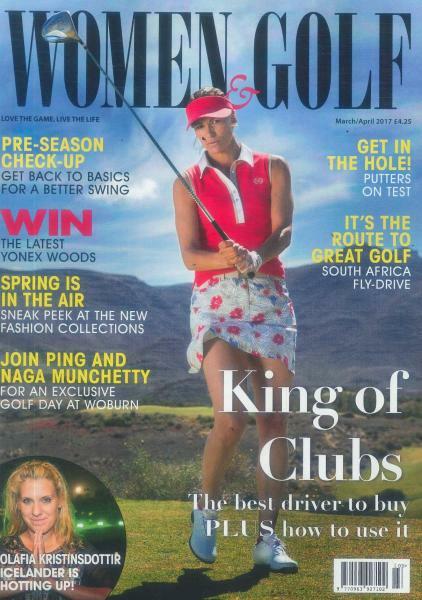 For over 20 years Women & Golf magazine has provided women golfers with the latest in-depth news, reviews and information on all aspects of the amateur and professional game. It offers everything from the latest courses to advice on the best golfing holidays across the globe. If you are looking to golf abroad, keep with the latest trends while you pay on the most beautiful courses. Every issue offers a wealth of experience from the pros which will help you continue to improve your game. If you’re a seasoned pro or an amateur, pick up a copy today.